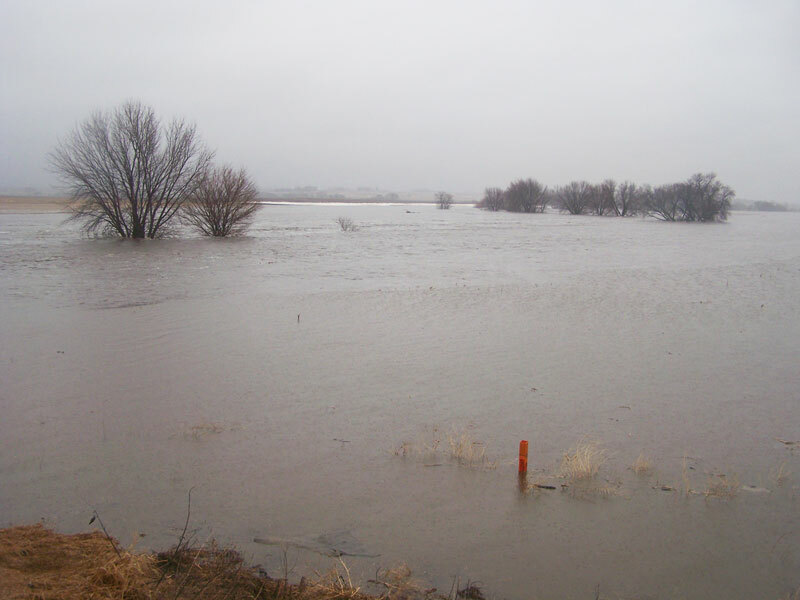 The Floyd River between Le Mars and Merrill. 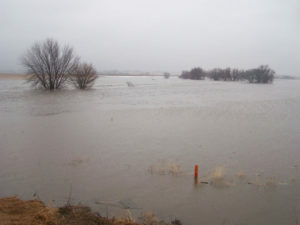 Closed interstate highways and submerged train tracks are creating challenges for moving grain and livestock. But Mike Steenhoek of the Soy Transportation Coalition says washed-out county bridges and impassable gravel roads are equally important because local infrastructure connects farms to global markets. “And it’s also the system that is largely the responsibility of local and county government and these are entities that are not flush with money,” Steenhoek says. Iowa State University livestock economist Lee Schulz says some livestock trucks early on had to take longer routes or go to different meatpacking plants. But Schulz says businesses worked together to keep up with meat processing and it may never be clear whether the flooding affected consumer prices. “It likely won’t be one that we can really isolate here is the impact — and it was a rather large impact,” Schulz says. “I think it’s something that over time we may realize a little bit but overall I don’t think it’s going to be too much of an impact on prices.” He says prices for meat are volatile thanks to ongoing tariffs and animal diseases, so it may never be possible to tease out whether flooding affected consumer prices. Schulz says prices, especially for pork, are pretty good and demand for meat is high, despite the considerable impact on individual farms.